Chichen Itza - An extraordinary visit to one of the most impressive archaeological discoveries in the world – and one of the few that you are still permitted to climb!! At this ancient site you can climb the 91 steps of the Kukulcan Pyramid, test the acoustical magic in the largest Ball Court in the Americas and walk the same paths as the Mayan priests did to offer sacrifices to their gods at the Sacred Well. After the guided tour, enjoy an amazing visit to an incredible cenote (hidden well) at Ik Kil, where you can refresh yourself in the cool, mystical waters and take advantage of another amazing photo op! Experience one of the richest ancient cultures in the world. Don't miss this exciting excursion! Xcaret - Natures Sacred Paradise! Once an ancient Mayan seaport, this eco-archaeological park is designed to keep you busy all day. Swim gently through underground rivers; relax in crystal clear lagoons; observe exotic tropical birds, jungle cats and spider monkeys in natural habitats; snorkel in protected inlets or take a siesta in a hammock under swaying palm trees. You will love the impressive coral reef aquarium with interesting explanations about the local marine life and how the park is helping to protect endangered sea turtles. There is also a butterfly pavilion, special performances in various spots of the park throughout the day and archaeological ruins that remind you that you are walking in footsteps of a centuries’ old culture. Stay for the evening and take a step back in time with a magical show in a spectacular amphitheater. Tulum and Xel Ha - Tulum is the only walled city built by the Mayans along Caribbean. This ancient fortress atop a cliff overlooking the coast was so formidable in its day that the Spanish by-passed the area on their way to conquering the Peninsula. The views are spectacular, and the site offers a unique look back in time. Several structures still have original paintings on the walls. At Xel-Ha, enjoy the extraordinary network of natural pools and waterways, walking paths and tropical forest. Jump into an incredible “natural aquarium” where you can snorkel in calm waters. Grab a float for a lazy ride in gentle currents, or grab a hammock, lay back and relax with the realization that you are NOT dreaming!! Isla Mujeres/Dolphin Discovery - Isla Mujeres is a quaint, charming island located directly across the bay from Cancun. With its warm, transparent waters it is a perfect home for the dolphins. It is also an island full of history, spectacular beaches and bargain shopping. Dolphin Discovery Isla Mujeres is conveniently located in the heart of the island. You are only a 10 minute drive from either end of this island of adventure. To get to the island hop aboard our ferry for a scenic 40 minute boat ride across Cancun Bay. Remember our flexible ferry schedule allows you to enjoy the island either before or after your program. Shopping - 5th Avenue is Playacar has many shopping areas and designer stores Because of the rich cultural diversity of this region of Mexico you can find all kinds of unique stuffs. You can shop high-quality woodcrafts, jewelry, Mexican handcrafts, pottery, typical clothing and all you can imagine. Nightlife - The RIviera Maya doesn\\\'t have all of the clubs and discos as Cancun, but there are still plenty of options. 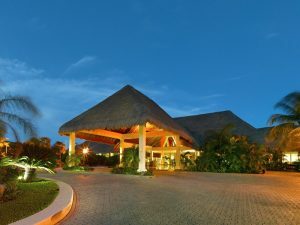 5th Avebue in Playa del Carmen is home to the best nightlife in the Riviera Maya. 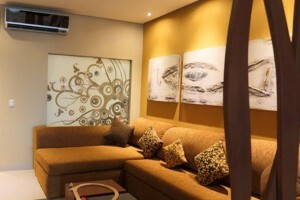 There is a few clubs like Sr Frogs and the Blue Parrot, and plenty of outdoor lounges with live music. Shopping and al fresco dining is also available. 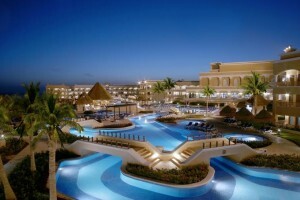 Dreams Riviera Cancun Resort & Spa, opened October 2009, is designed to reflect the charm of the Mexican Caribbean. 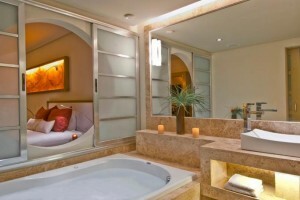 Full of details inspired by the Mayan culture, this hotel forms a complex with the neighboring Iberostar Paraiso Lindo.